Under its Leased Bases Agreement with Britain, the United States had obtained permission in 1941 to establish military bases in Newfoundland in exchange for 50 of its aging destroyers. Prior to that, the United States had avoided any involvement in the war, having suffered heavy casualties during the First World War. However, with the fall of France to Nazi Germany in June 1940, the American government recognized a need for additional bases to better defend the Western Hemisphere. The first American troops bound for Newfoundland board the Edmund B. Alexander in New York. Photographer unknown. Reproduced by the permission of the Maritime History Archive (PF-306.752), Memorial University of Newfoundland, St. John's, NL. The first American troops arrived at St. John's in January 1941. In the months following, Newfoundland and Labrador became one of the most highly militarized places in North America as the United States spent more than $100 million to build military bases in St. John's, Argentia, and Stephenville. 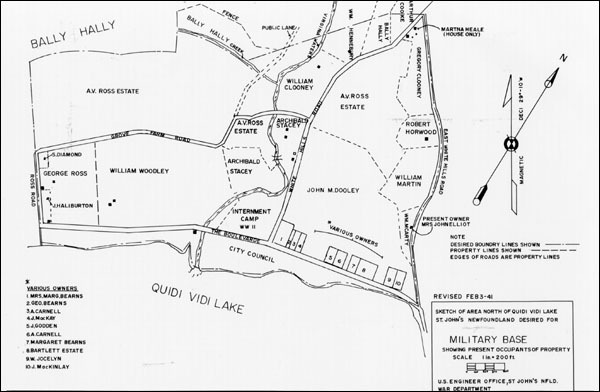 American detachments were also stationed alongside Canadian troops at the Gander and Goose Bay airfields, as well as in a number of smaller communities of strategic importance – in Sandy Cove and St. Bride's, for example, radar sites were installed. The construction boom created thousands of jobs for Newfoundlanders and Labradorians. The readily available employment on the bases was welcomed by a population that had suffered great economic hardship during the pre-war years. Unemployment had been severe since the First World War, and by April 1939 nearly one-third of the island's 300,000 people were drawing government relief. 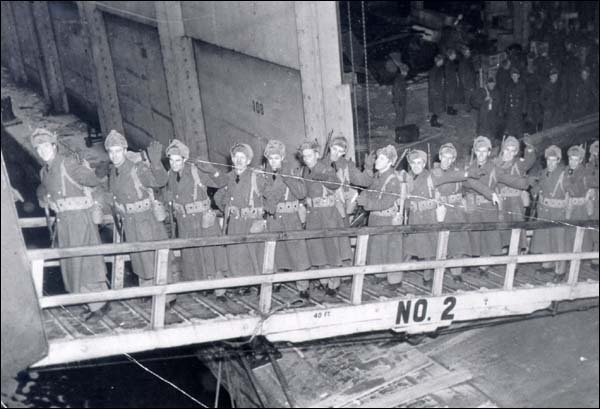 However, at the peak of construction in 1942, approximately 13,500 Newfoundlanders were working at the American bases and earning relatively high wages. 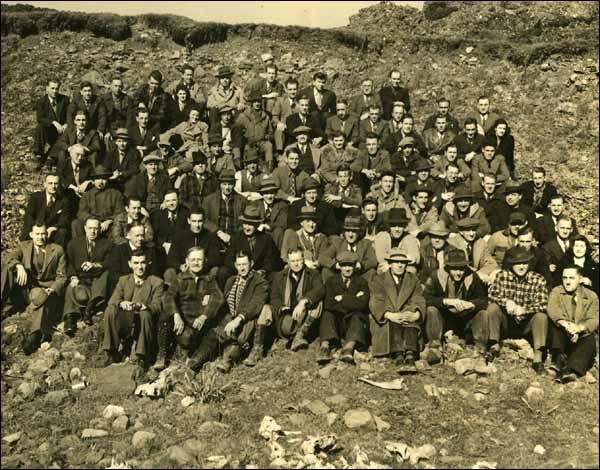 Taken in 1942, this group of civilian workers helped build Fort Pepperrell in St. John's. Photographer unknown. Reproduced by the permission of Archives and Special Collections (Coll. 109 3.01.17), Queen Elizabeth II Library, Memorial University of Newfoundland, St. John's, NL. The public purse also benefited from the construction boom, which allowed the country to run a financial surplus for the first time in years. In 1940, for example, the Newfoundland government reported a deficit of almost $5 million, but just two years later, it enjoyed a surplus of more than $7 million. Social benefits also accompanied the establishment of United States military bases in Newfoundland. 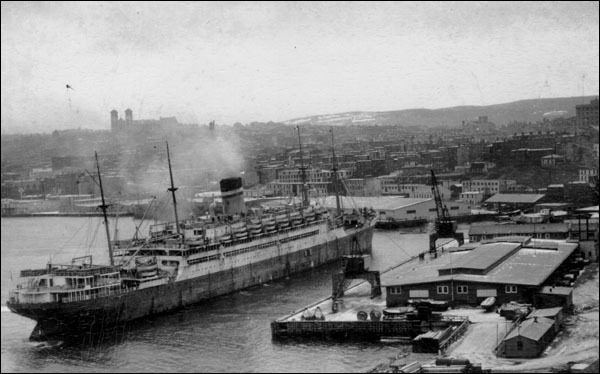 The Americans provided public health services, helped stock Newfoundland's emergency food supply, reconstructed the 54-mile highway between Holyrood and Argentia, and helped modernize the island's communication system by installing aerial cables from St. John's to Stephenville. More often than not, American-Newfoundland relations were positive. Hundreds of Newfoundland women married US servicemen and civilians were often invited onto the bases to take part in various social activities, including softball and movie nights. The American radio station VOUS (Voice of the United States) also broadcast out of St. John's, bringing American popular culture to both the soldiers and the Newfoundlanders. Some frictions, however, did occur. Although thousands of Newfoundlanders flocked to the bases for work, they were paid less than American and Canadian workers. Moreover, all people living on land appropriated by the Americans had to vacate their homes and resettle elsewhere. In Argentia, for example, 201 properties were expropriated and three graveyards had to be exhumed. Many families were asked to abandon farmland that had been passed down through generations. A sketch of the land on which Fort Pepperrell was built in St. John's. All the area seen here was expropriated for base construction. Reproduced by the permission of the Maritime History Archive (PF-306.322), Memorial University of Newfoundland, St. John's, NL. Although compensation was paid to the displaced property owners, there was a general feeling that payments received did not equal the economic and emotional costs of having to move. Additionally, some residents were bitter that 99-year leases had been granted the Americans without consultation with the people. The influx of thousands of young unmarried soldiers – many of whom were away from home for the first time – led to an increase in sexually transmitted diseases at some communities near the bases, while many Newfoundland men resented the attention that the American soldiers were receiving from local women. Also of concern was the extensive legal powers given to the Americans by the British. The United States had obtained jurisdiction over all persons – including Newfoundlanders – committing military offenses within its leased areas, and over Americans committing military offences anywhere in the country. By mid-1943, the construction boom was declining and most work was completed by March of that year. By 1945, more than 100,000 American military troops had been stationed in Newfoundland and Labrador. The first American troops returned home from Newfoundland on board the Fairfax, seen in this photo. Photographer unknown. Reproduced by the permission of the Maritime History Archive (PF-306.223), Memorial University of Newfoundland, St. John's, NL. At the end of the war some of the military bases found new roles, while others closed. Argentia continued as an American naval base until 1994, when the last remaining American forces withdrew from the area. The American Air Force used Stephenville as a site for the air defence of North America, until it closed in 1966. In St. John's, Fort Pepperrell became Pepperrell Air Force Base in 1946 and remained active until the American military officially withdrew in August 1961. Facilities at all three bases were eventually converted to civilian uses.